"They say milk gives us strength. Drink three glasses and try moving a wall. You can't. 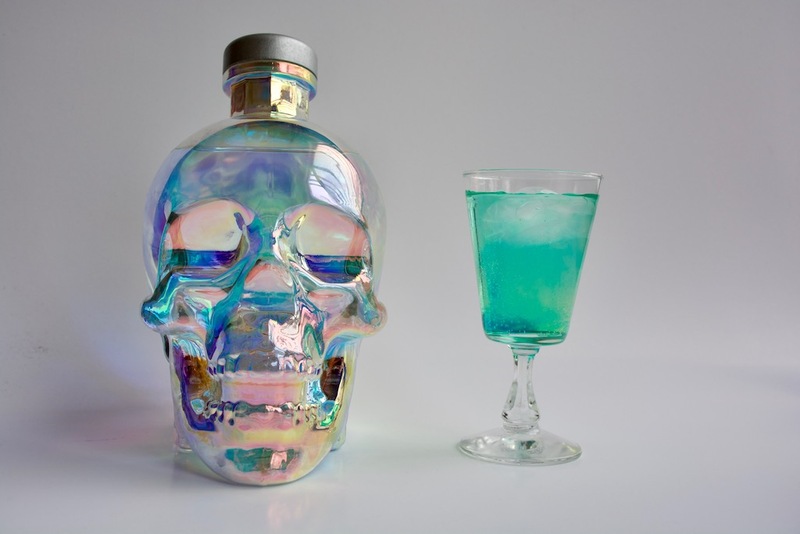 Drink three shots of vodka and it moves all by itself"
Aurora Crystal Head Vodka was created to celebrate the natural phenomenon of the Northern Lights. This vodka uses English wheat and pure waters from Newfoundland to produce a smooth vodka that offers aromas of sweet grain, citrus, and vanilla. The palate is creamy and delicate with gentle flavours of grass and lavender followed by a medium length finish. To summarise; it's totally delicious vodka! 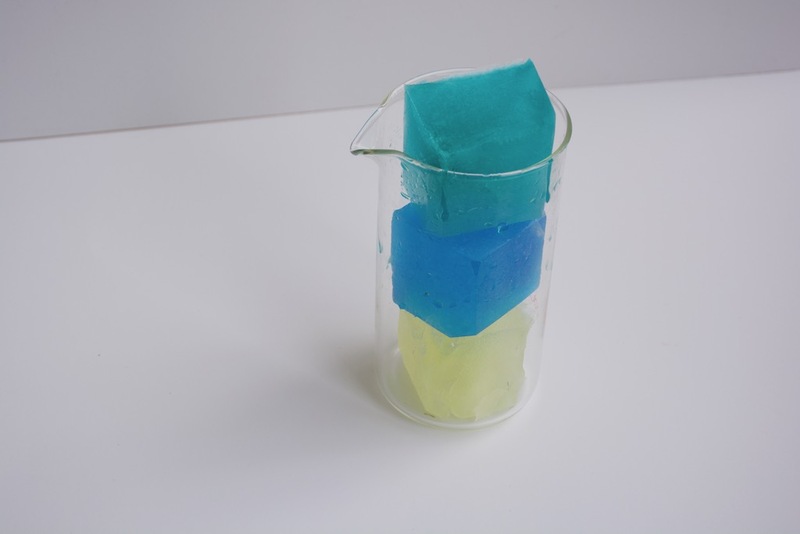 We played with different methods of getting a burst of dancing colour into a drink. I didn't want to use food colouring so turned to coloured liquors instead. We used Galliano and Blue Curacao to give yellow and blue hues. I also played with freezing ice cubes with the liquors in them to see in I could get the cubes to melt and create a coloured swirl throughout the drink. The results didn't quite turn out as we planned! The ice cubes watered the drink down too much and looked good for about 10 seconds only. 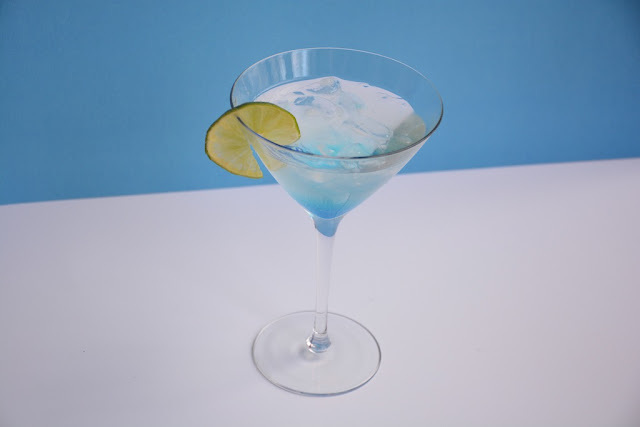 The mixture of Blue Curacao and Galliano together just tasted odd, although it gave the perfect pop of green to the drink. 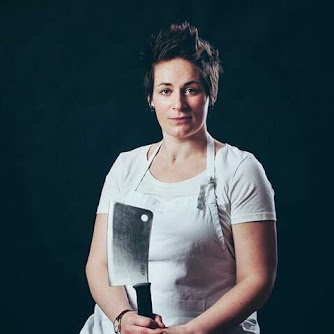 In the end, I decided that flavour had to come before style. I just don't have the heart to give you a recipe for a less than average drink, even if its pretty! A "long vodka" is a vodka-based cocktail, popular throughout Scotland and some parts of Northern England. It just so happens that I also come from the North of England so it seems like destiny that this cocktail should make its way into my repertoire! Fill a glass with ice, pour over vodka and lemonade. Add the bitters and lime juice then stir. At the last moment pour the Blue Curacao down the side of the glass whilst the drink is still swirling. 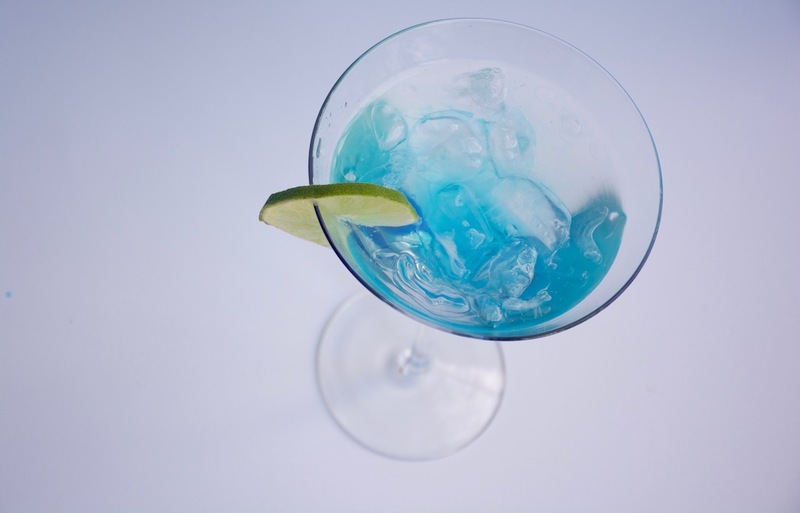 Watch the dancing blue of the Aurora and then enjoy your drink! Needless to say I highly recommend Crystal Head Vodka. A great tasting vodka with bold yet smooth flavours and possibly the best bottle ever! 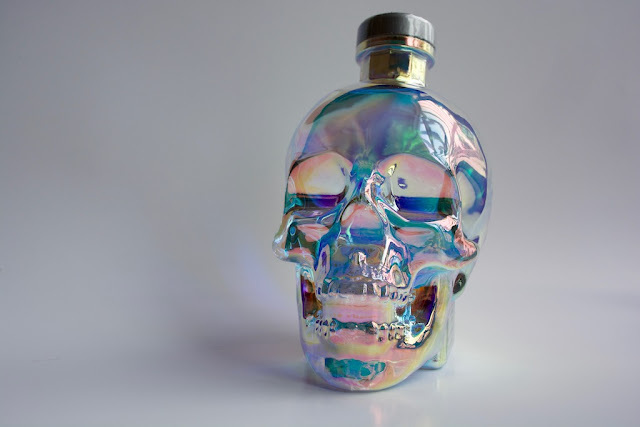 I was sent a bottle of Crystal Head Vodka for free to test for the blog. I accept all donation of delicious alcohol for testing purposes and sacrifice my time to rigorously test them to create awesome cocktails for you. I don't get paid to do this. I don't get paid to say nice things either. I say nice things only if its nice! Pictures, cocktail testing husbands, terrible spelling mistakes and opinions are all my very own.